Billy J. Kramer is a singer, songwriter and bandleader, whose career with The Dakotas took him into the top ten on the British and American charts, including three UK number one hits. Born in Liverpool he now lives in the United States. Alyn Shipton has co-authored many musicians’ biographies, including most recently, that of chart topping jazz bandleader Chris Barber. His life of singer/songwriter Harry Nilsson won the 2014 ASCAP Deems Taylor Award for pop biography. When Billy J. Kramer’s record of Lennon and McCartney’s “Do You Want To Know A Secret?” topped the New Musical Express charts in 1963, he became the first singer in the world to have a number one hit with a Beatles song, apart from the Fab Four themselves. This success propelled the teenage Kramer into the fast lane, and he followed it with another five top twenty singles within the space of two years. In this autobiography Billy J. Kramer (born William Ashton) tells his rags to riches story, from his working class childhood in Liverpool, via a British Rail engineering apprenticeship in the dying days of steam, to the racy world of international pop music. Managed by Brian Epstein, produced by George Martin, engineered by Hurricane Smith, and friend, confidante and colleague of the Beatles, Kramer gives a definitive insider’s account of the birth of the Liverpool sound and also the “British Invasion” of the US. We follow him to the Star Club in Hamburg, to Abbey Road, into the BBC studios, and onto package tours and stage shows with the Beatles, Cilla Black, Gerry and the Pacemakers, Tommy Quickly and other stars of the age. He shares a dressing room with James Brown, and appears alongside other 1960s giants of the American music business. Kramer also brilliantly evokes the world of variety, as he goes behind the scenes with comedian Tommy Cooper, and learns about the stagecraft of artistes from another era. On the surface, Kramer’s career seems like a dream come true, but there are dark secrets in the Kramer story. Even before he’d reached his twenties, he was already in the grip of drugs and alcohol, and there were constant tensions between him and his Mancunian backing band, The Dakotas. When the screaming stopped, he reinvented himself as a cabaret performer, and some of his best records were made during the years he was out of the limelight. He brought up a young family, but the drink and pills made his domestic life, and eventually his professional life, a struggle. In this no-holds-barred account of his life, Kramer evokes the vibrancy of the sixties and reveals how he exorcised his demons and forged a new career in the US. He assembles his current band, shows a growing mastery of songwriting and recording, and returns to national tours, keeping the flame of the Mersey sound alive. The lifetime of experience he brings to his new songs infuses every page of this enthralling read. 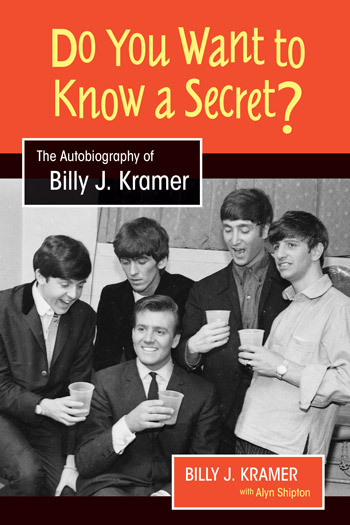 When Billy J. Kramer’s record of Lennon and McCartney’s “Do You Want To Know A Secret?” topped the New Musical Express charts in 1963, he became the first singer in the world to have a number one hit with a Beatles song, apart from the Fab Four themselves. This success propelled the teenage Kramer into the fast lane, and he followed it with another five top twenty singles within the space of two years. In this autobiography Billy J. Kramer (born William Ashton) tells his rags to riches story, from his working class childhood in Liverpool, via a British Rail engineering apprenticeship in the dying days of steam, to the racy world of international pop music. Managed by Brian Epstein, produced by George Martin, engineered by Hurricane Smith, and friend, confidante and colleague of the Beatles, Kramer gives a definitive insider’s account of the birth of the Liverpool sound and also the “British Invasion” of the US. We follow him to the Star Club in Hamburg, to Abbey Road, into the BBC studios, and onto package tours and stage shows with the Beatles, Cilla Black, Gerry and the Pacemakers , Tommy Quickly and other stars of the age. He shares a dressing room with James Brown, and appears alongside other 1960s giants of the American music business. Kramer also brilliantly evokes the world of variety, as he goes behind the scenes with comedian Tommy Cooper, and learns about the stagecraft of artistes from another era. On the surface, Kramer’s career seems like a dream come true, but there are dark secrets in the Kramer story. Even before he’d reached his twenties, he was already in the grip of drugs and alcohol, and there were constant tensions between him and his Mancunian backing band, The Dakotas . When the screaming stopped, he reinvented himself as a cabaret performer, and some of his best records were made during the years he was out of the limelight. He brought up a young family, but the drink and pills made his domestic life, and eventually his professional life, a struggle. In this no-holds-barred account of his life, Kramer evokes the vibrancy of the sixties and reveals how he exorcised his demons and forged a new career in the US. He assembles his current band, shows a growing mastery of songwriting and recording, and returns to national tours, keeping the flame of the Mersey sound alive. The lifetime of experience he brings to his new songs infuses every page of this enthralling read. 27 December 1960, Billy sees the Beatles for the first time performing in Litherland Town Hall having just returned from Hamburg. It was an experience that changed his life. Billy’s early family and school life including his membership in the school choir and his first guitar at around age 10, onto secondary school where he remained until 15 when he joined British Rail as an apprentice engineer. Billy’s impressions of the music scene in Liverpool and his growing commitment to rock and roll first playing rhythm guitar and eventually up front as a singer in a band originally called the Phantoms but later renamed as Billy J. Kramer and the Coasters. Playing local gigs alongside the Beatles and memories of their early days. His change of name from William Ashton to Billy J. Kramer, sartorial adventures, growing professionalism, meeting Brian Epstein and his decision to give up his apprenticeship and make it as a musician. Now signed up with Brian Epstein as his manager, Billy starts working with a new backing band — the Dakotas. Time in Hamburg playing at the Star Club and use of pills to get through the tough schedule. touring with the Beatles and his growing popularity with fans, topping the charts with ‘Do You Want To Know A Secret’ in March 1963. Sessions in the Abbey Road studio with George Martin, first trip the USA and back on the road with the Beatles. Coping with overnight stardom, more touring with the Beatles, memories of Tommy Cooper, and Cilla Black, his uneasy relationship with the Dakotas. Billy has a big hit with Little Children having turned down 3 other songs by the Beatles and distances himself from Brian Epstein. Trips to the States, the Ed Sullivan show, Beatlemania, Australia and changes in the line-up of the Dakotas. Billy’s new band takes up a contract separately and he goes for an extended tour in Zimbabwe (then Rhodesia) and onto South Africa. Back in Britain, Billy picks up his career. The era of the Miners’ Strike and the 3-day week, and touring is hard. One way or another, there is a steady stream of material but by the end of this period Billy is mostly working on his own with session bands; he writes the lyrics for ‘You Can’t Live on Memories’ which looked back in an autobiographical way at the Merseybeat era and which, when released in 1983 was a critical success with lots of airplay time but more importantly, got Billy back to writing songs again. Living in Rugby and raising a growing family, Billy is on and off the wagon and finding it difficult to cope with his addictions and has to face the fact that there are fewer and fewer offers for his type of music. In 1984 Billy along with a number of other UK acts are in the USA for a tour to celebrate the twentieth anniversary of the British Invasion. 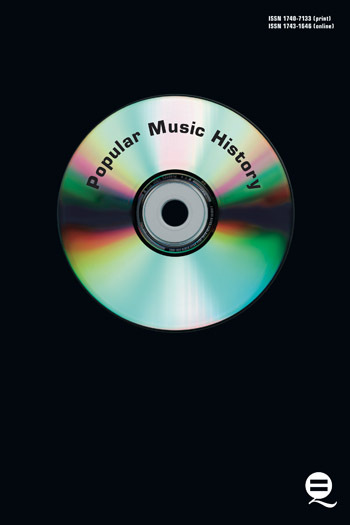 He notices a difference between the way the music scene had developed in Britain compared to the USA where the artists were treated with respect by audiences who knew the history and showed plenty of enthusiasm. Meets Roni, who will become his second wife and while on tour stops taking pills but continues drinking. Back in the UK, Billy senses that his professional and emotional future might lie in North America. He accepts a gig in Canada, bases himself on Long Island making trips back home to see his family but the marriage ends and Billy moves permanently to America and begins to address his addiction once and for all. Marries Roni and begins touring again in the UK and USA where Billy had been building up his own circuit including gigs in New Mexico where he and Roni eventually buy a second home. In the final chapter, Kramer reveals how he exorcised his demons and forged a new career in the US. He assembles his current band, shows a growing mastery of songwriting and recording, and returns to national tours, keeping the flame of the Mersey sound alive and releasing his latest album I Won The Fight in 2013. In a neatly presented hardback illustrated throughout Kramer and his co-writer Alyn Shipton... tell the story of a Liverpool railwayman who became a leading figure in Mersey mania. He was the most handsome man on stage, and well-dressed too. Seeing and hearing Billy J Kramer in the early days of what became known as the Merseybeat scene was an inspiration to all us teenagers in England. Here was a truly likeable, accessible gentleman, who had access to great songs, great writers and great musicians, who was one of us! At last someone real was taking it over! Billy J Kramer and his band The Dakotas have always been an inspiration to me, especially when I was starting out. His voice and sound have always been unique. Billy’s a dear friend and one of the most humble people I know. Billy is without a doubt the most unique, charming, welcoming and humble human being I've ever met. Within the first few days of working and hanging out with Billy, I felt like I had known him forever! His enthusiasm and youthful outlook are so inspiring and (thankfully) contagious. How can you not love a person who constantly lifts your spirits and is always inspiring? Billy's depth of feeling and thinking are beyond the norm. My friend Billy has seen it and has been through it all. He is a musical survivor. He is real and tells it like it is, ‘cause he has been there. If you are disappointed by the truth don’t ask Billy for an opinion. His only fault is his kindness. I love the man and consider him one of my best friends. Refreshingly original, real, and important. We're fortunate indeed that Billy has given us such a vibrant, colorful, incisive, and fact-filled book. Grab a copy if you want to be aptly informed for your children or grandchildren - or, hey, just for yourself. Kramer does not mince words and is equally frank about his fame as the dark side of it. For lovers of the Sixties music this book is definitely a must. 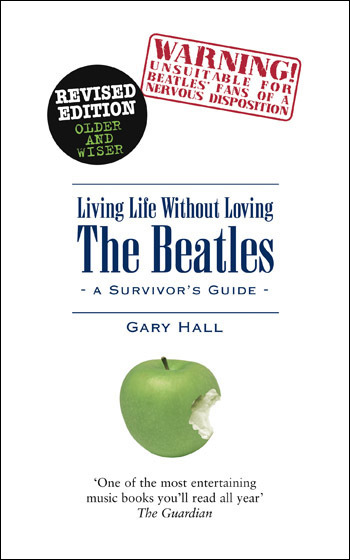 For all of us fascinated by British Invasion music, particularly the Merseybeat sound that erupted from Liverpool in the early 60s, this book is a must-read. Anyone with an interest in the Mersey Beat era and the Liverpool music scene will want to read this excellent book.